People often give up the idea of losing weight when they are told they would also have to give up delicious foods. After all, it’s not easy to escape the temptations of your favorite foods. This is where broken wheat, better known as ‘dalia’ in Indian households, comes into the picture and proves the notion wrong. Dalia is not only healthy and delicious but it also aids weight loss. Dalia is made by crushing whole raw wheat into small pieces. 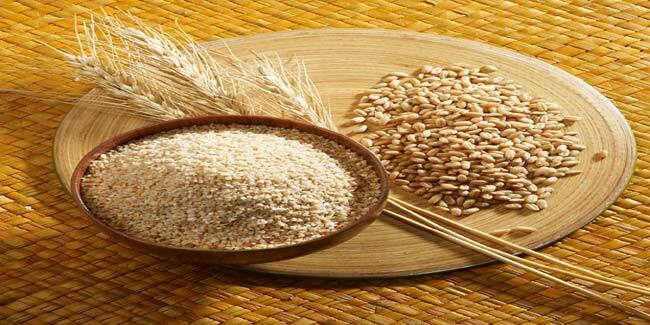 It contains high contents of fiber, proteins, B-vitamins. You may have heard about people using dalia for weight loss. According to a recent study conducted by Harvard Medical School, women who ate cracked wheat or whole grains on a regular basis had consistently lower weights than those who did not eat either of it. Here is how dalia aids weight loss. What makes dalia so great for weight loss is that it’s not only full of nutrition but surprisingly low in calories. Consumption of dalia on a regular basis adds very little to your daily calorie count. At the same time it does not fail to provide you nutritional benefits. Since it contains wheat bran and wheat germ, dalia is an excellent source of fibre which aids in digestion and ensures that your body functions properly, keeping you healthy. Moreover, fibre present in your food cannot be converted into sugar, which is why including dalia in your diet for weight loss makes a lot of sense and difference.